This article introduces the benefits of using home loan consultancy sites. If you are planning to take a mortgage at some point in your life, you can benefit from reading this. 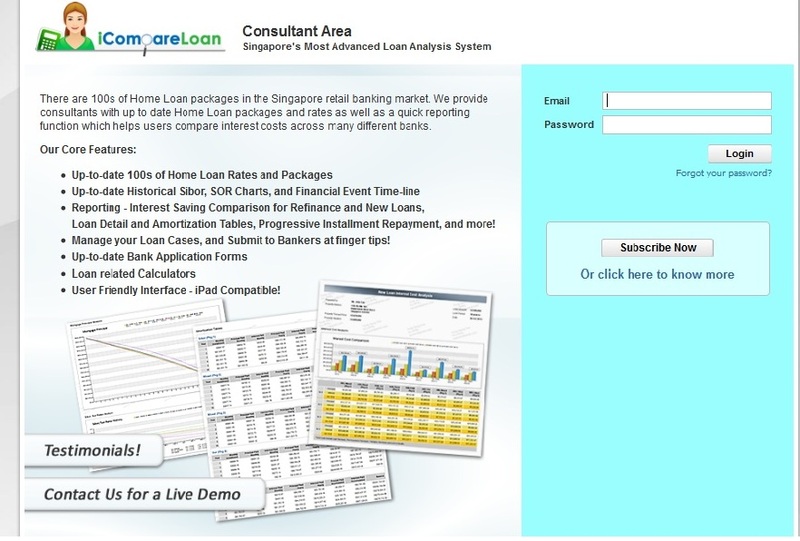 How online home loan consultancy work in Singapore? Basically, home loan consultancy or mortgage consultancy websites act as middlemen connecting borrowers to the financing institutions. These sites have professional mortgage consultants who are aware of all the different home loans offered by every Singapore’s bank. They will first assess the your financial risk profile and advise on the type of loan you should take. The consultant will then refer you to the financier providing the best loan. This advisory service is completely free to you as the financing institutions will pay the mortgage consultants a commission upon successful disbursement of loan. The financing institutions are willing to incur this cost as it saves them on front-end staffing. Apart from free mortgage advisory services, some home loan consultancy sites also have tools to allow you to compare loan packages across different banks. 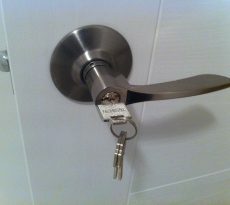 For example, the online home loan comparison system at www.iCompareLoan.com do that in 4 simple steps. 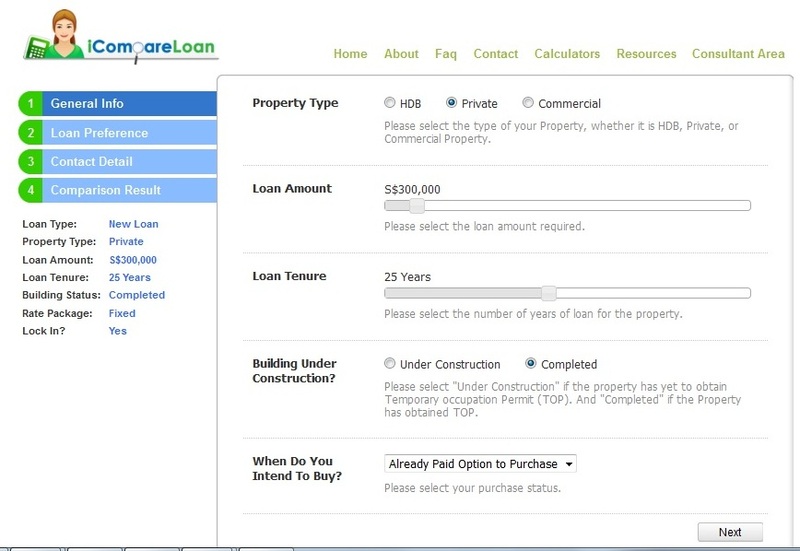 You only have to input a few pieces of information, such as the loan quantum, duration, type (fixed or floating rate), and the system will display all the available loans that meet the search query. Figure 1 and 2 illustrate this system. 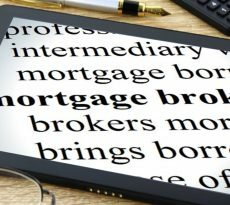 A handful of these mortgage consultancy sites may even provide more sophisticated home loan reports, which are available for free or a small fee. 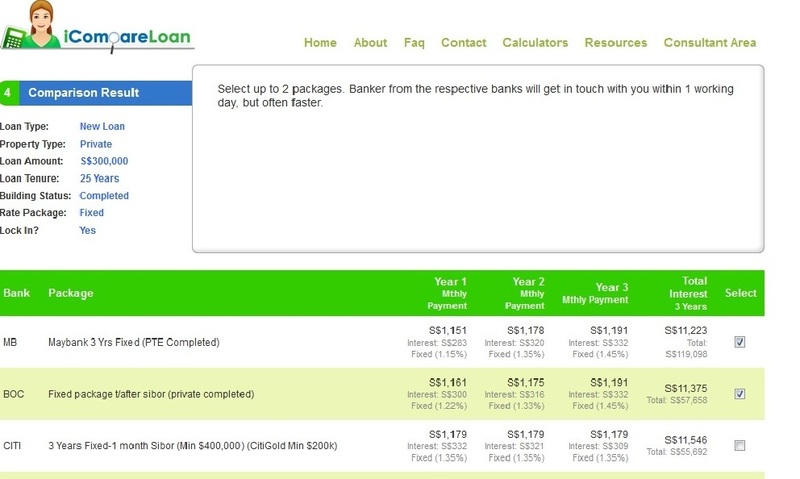 www.iCompareLoan.com offers a loan analysis system, which coincidentally is Singapore’s most advanced. They give out one-time complimentary reports from this system. Various types of reports that compare loan packages can be generated from the system including interest cost savings from refinancing or new loans, building-under-construction loans, amortisation tables, and more. Figure 3 shows the log-in page. There are about 16 banks in Singapore offering over 50 types of mortgages. If you were to do the research yourself, you would have to trawl through numerous banks’ websites to learn about the loans they provide. But more often than not, the websites will not even state basic information about the loans, like whether there is a lock-in period and clawback period or the interest rates payable. Instead the websites will encourage you to contact them for more details. You would have to speak to over 10 bank officers if you were to conduct a thorough search. As a home loan is a major financial commitment, it will be wise to have comprehensive information before selecting a loan package. And a home loan consultancy site will make this task a whole lot simpler. At the most basic level, the free DIY loan comparison tools offered by the consultancy sites allow you to compare loans in only a few steps, with the results displayed in easy-to-read table forms. If you are in need of more comprehensive advice, you can contact the mortgage consultants. Loan features can also change every now and then. It may be difficult for a novice to keep abreast of all the latest loan information. Mortgage consultants, on the other hand, are in the know so they are well-positioned to advise you accordingly. Because the mortgage consultants are not direct staff of the banks, they will give you unbiased loan recommendations and comparison across different banks. Conversely, if you were to turn a bank directly, the officer will naturally try to sell their loan packages. The officer is also unable to advise you about packages offered by other banks. Mortgage consultants, however, have knowledge of packages across different banks and are not beholden to any. Besides dispensing loan recommendation, most mortgage consultants are also happy to help out in the application process. Paperwork can be time-consuming, so the consultants can assist you by ensuring all the required documents are in order. Otherwise, your loan application can be delayed. In some cases, the mortgage consultants may even be able to negotiate for a better rate, or facilitate the approval process, if the loan amount is above S$2 million.